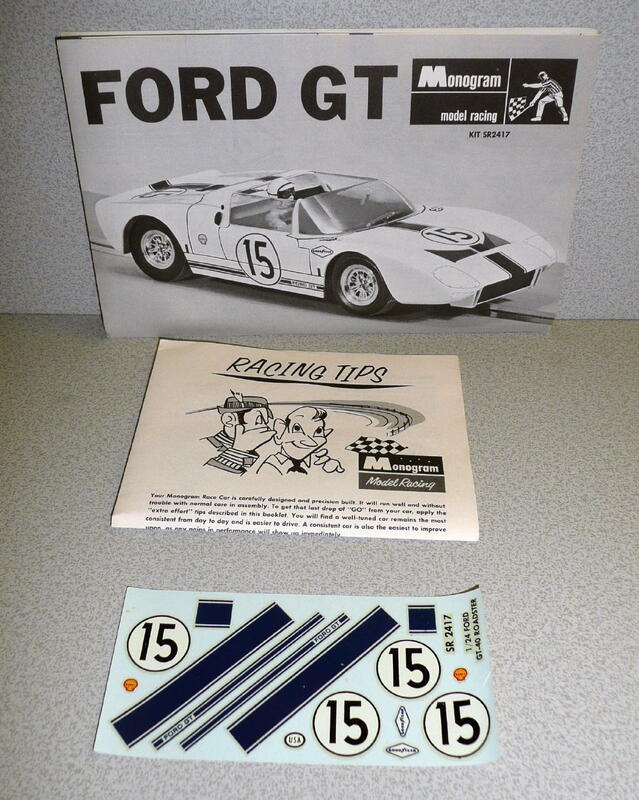 One of slot racing golden era's most important companies, Monogram Models was founded in Chicago in 1945 by former Comet Airplane & Supply Co. employees Bob Reder and Jack Besser who started by producing a simple die-cut balsa wood kits. 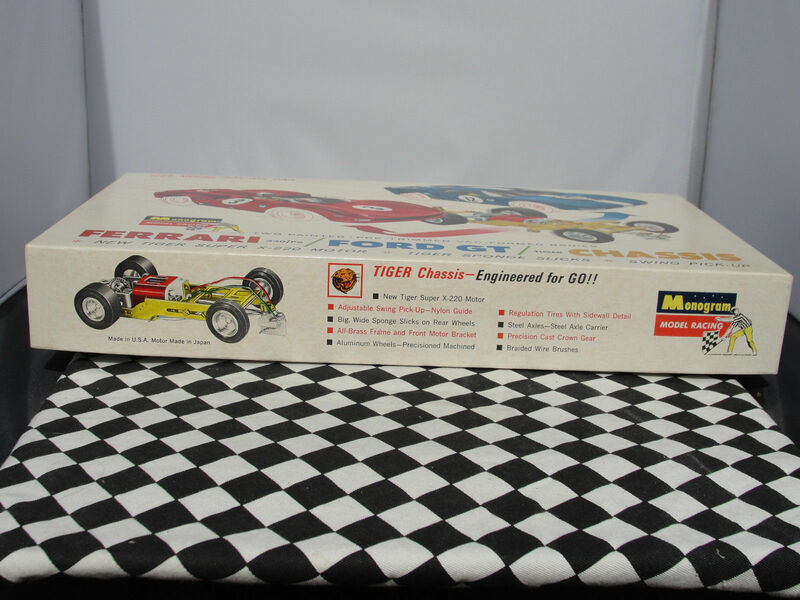 The company's first kits reproduced World War II ships and airplanes and provided the first inexpensive yet accurate wartime models for beginner builders. 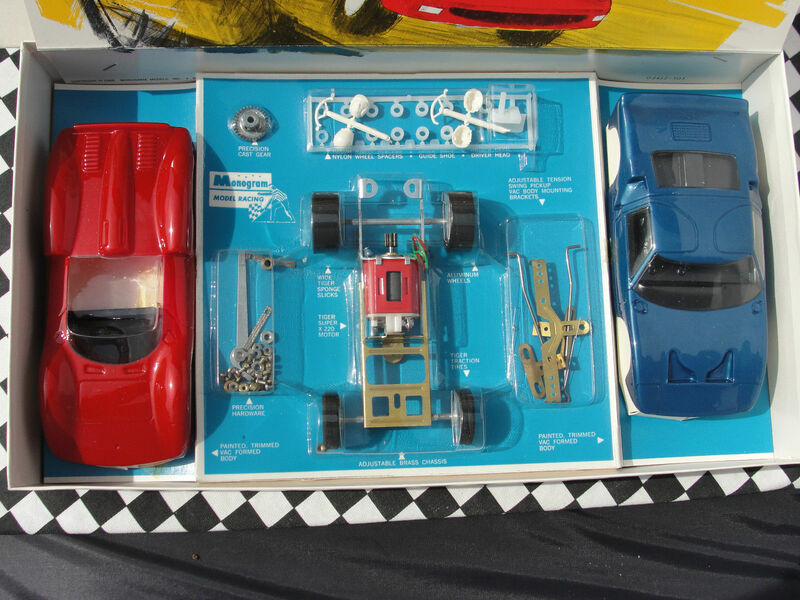 When polystyrene injection-molding techniques became mainstream in the early 1950s, Monogram used their tremendous talents to produce the sharpest injected model airplanes, boats and cars kits in the business. 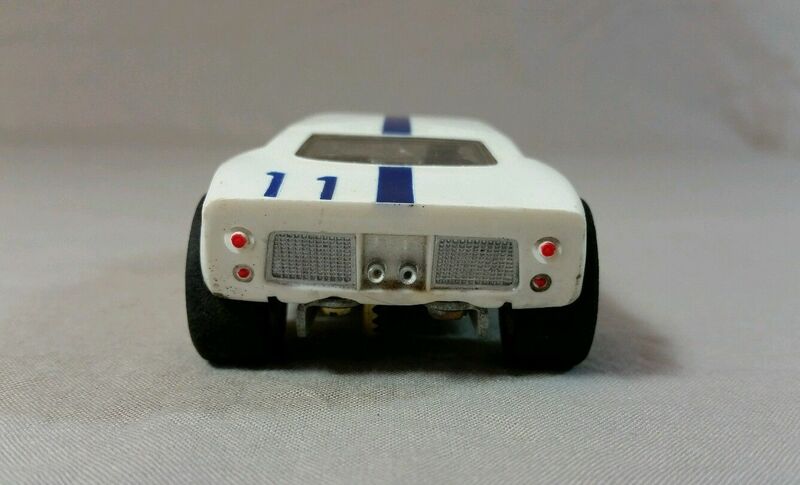 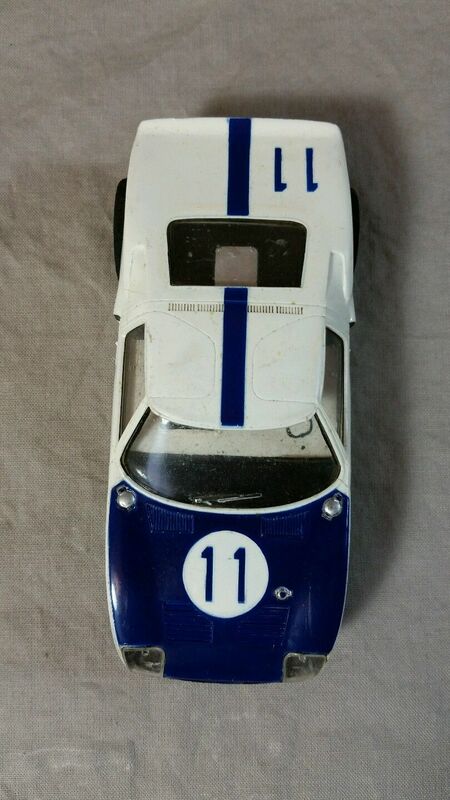 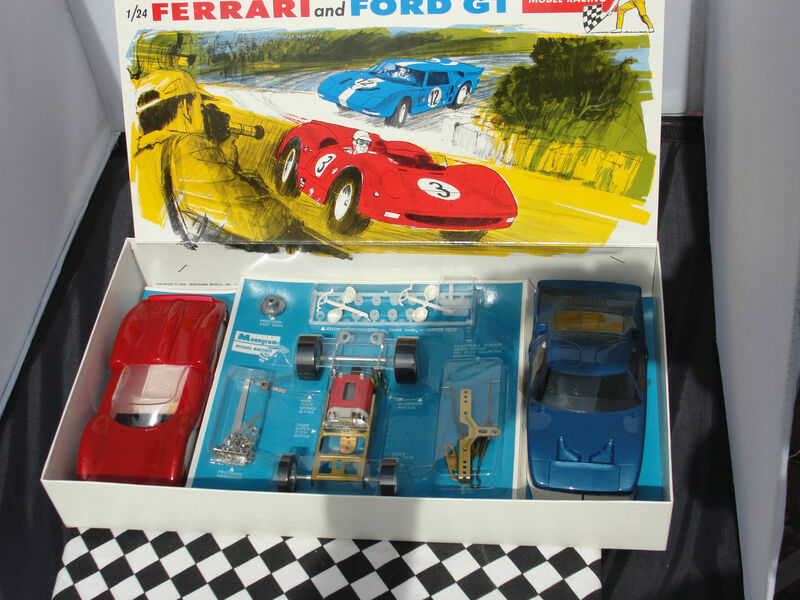 Monogram made their entry in the slotcar racing hobby in 1964 by producing their first series of high quality slotcars consisting of two 1/32 kits and seven 1/24 scale kits in august of that year. 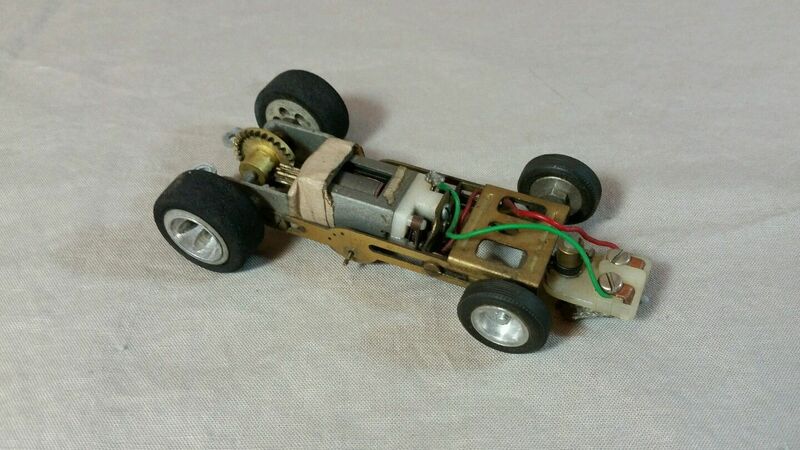 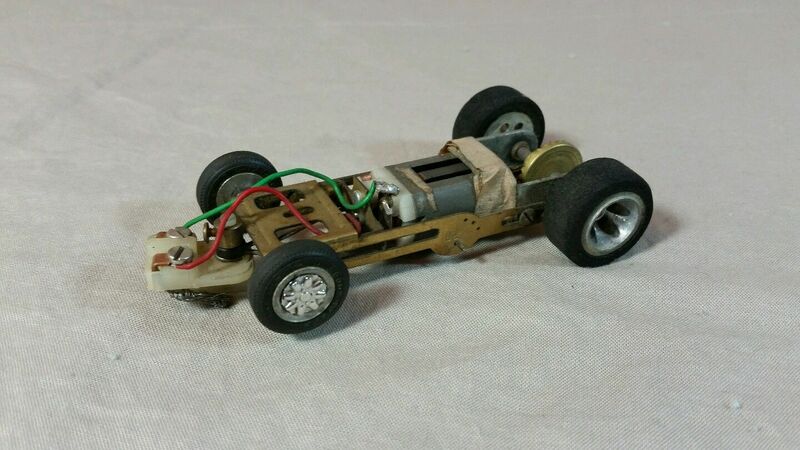 The 1/24 scale kits used recycled static model bodies attached to a 3-piece brass chassis. 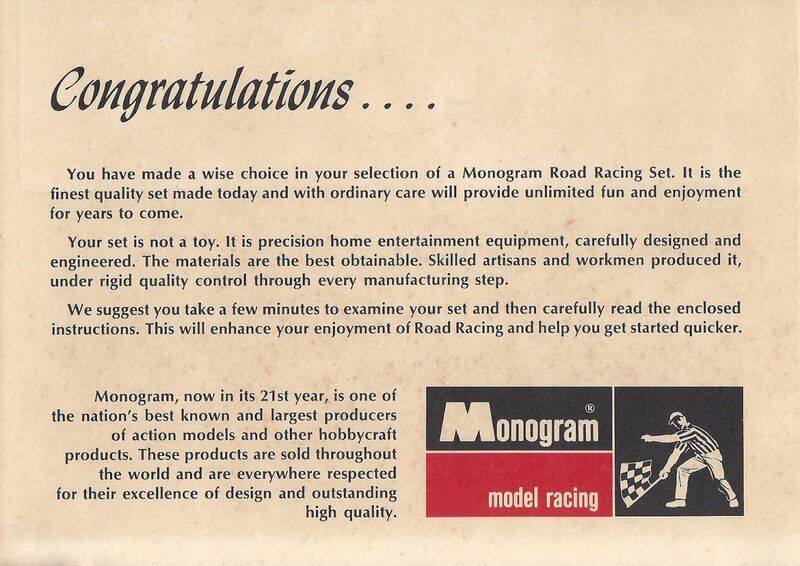 Later Monogram would also produce a home racing set including a high quality track. 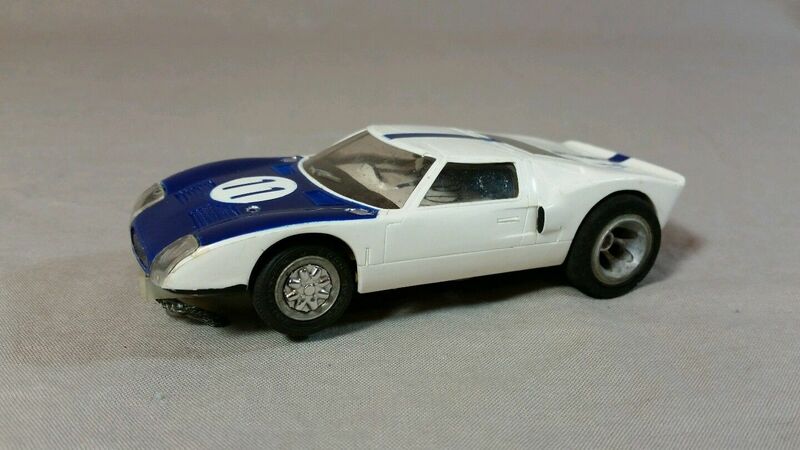 In 67 Monogram issued a three car series of thingies, one of which, The Assassin used a stamped aluminum chassis and a sidewinder Mabuchi FT36D motor and a vacuum formed body designed by auto stylist, Tom Daniel. 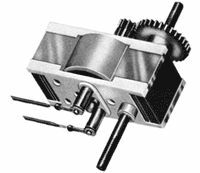 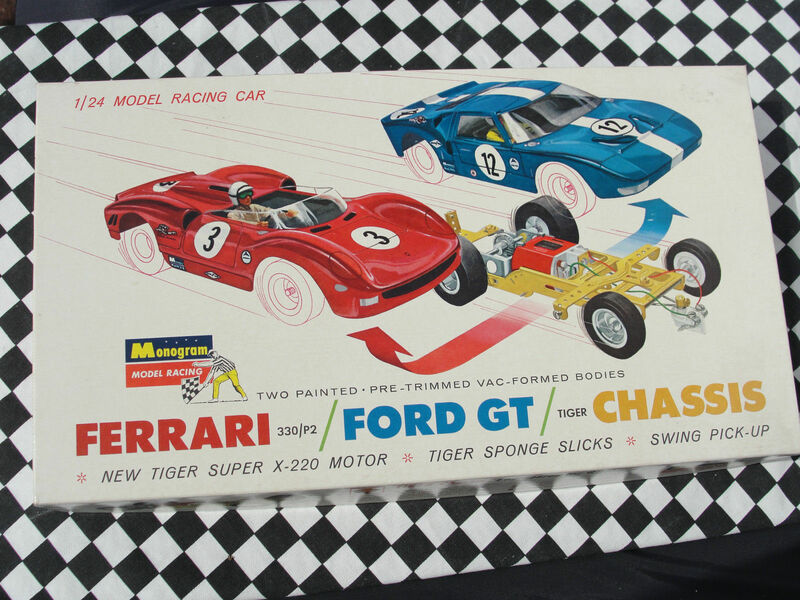 While producing slotcars, Monogram recognised the fact that groups of enthusiasts were gathering to race their model cars, so they made sure they also supported slot car racers with a fairly complete line of racing parts and accessories under the Tiger brand. 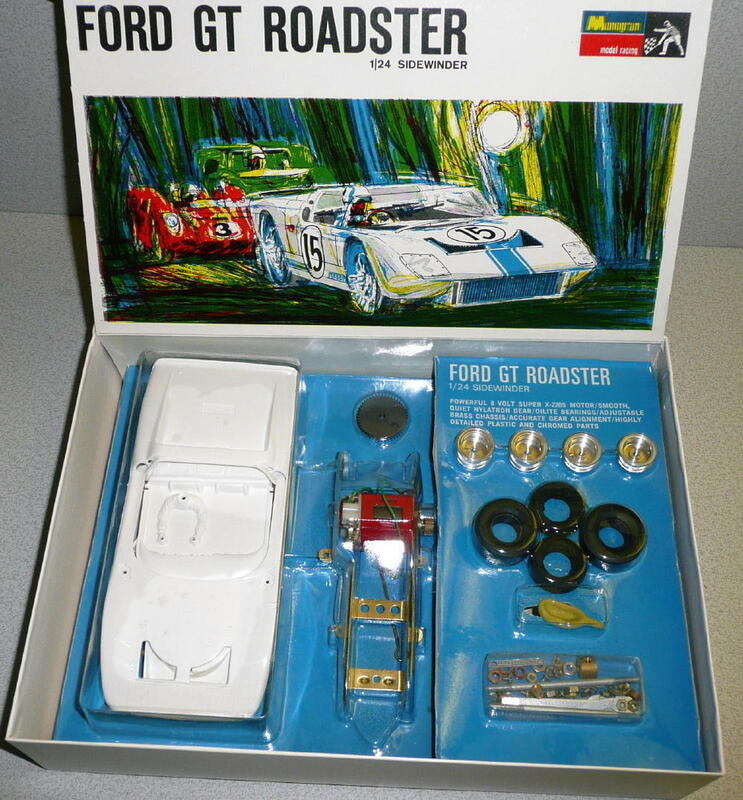 The 'Tiger' line of 1:24 and 1:32 racing parts included everything from machined aluminium wheels, 'hot' motors such as the 100 and 200 can motors and complete aluminium and brass frames. 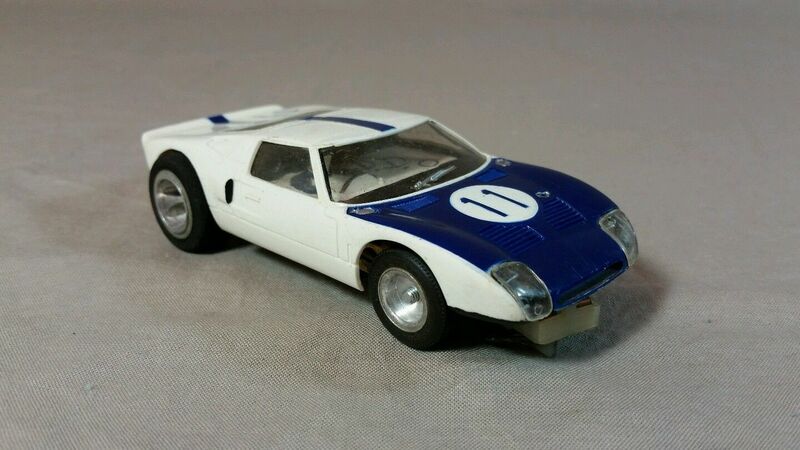 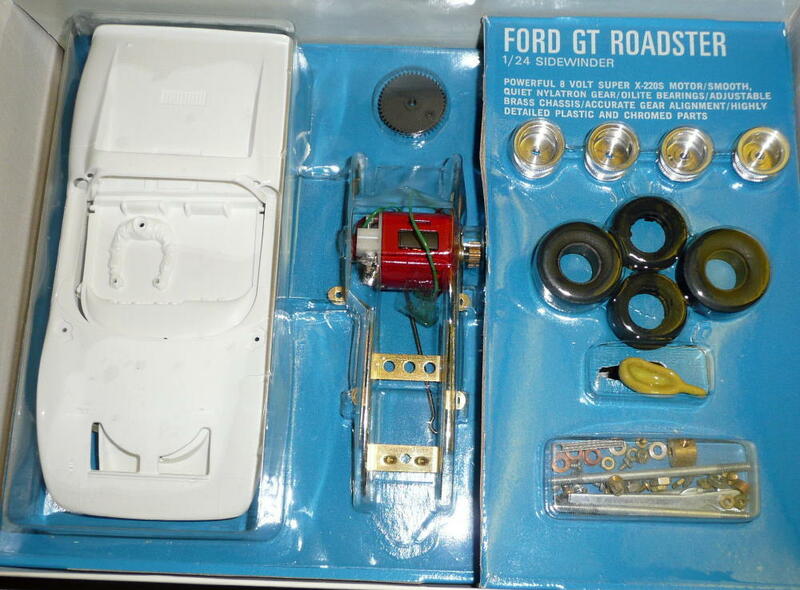 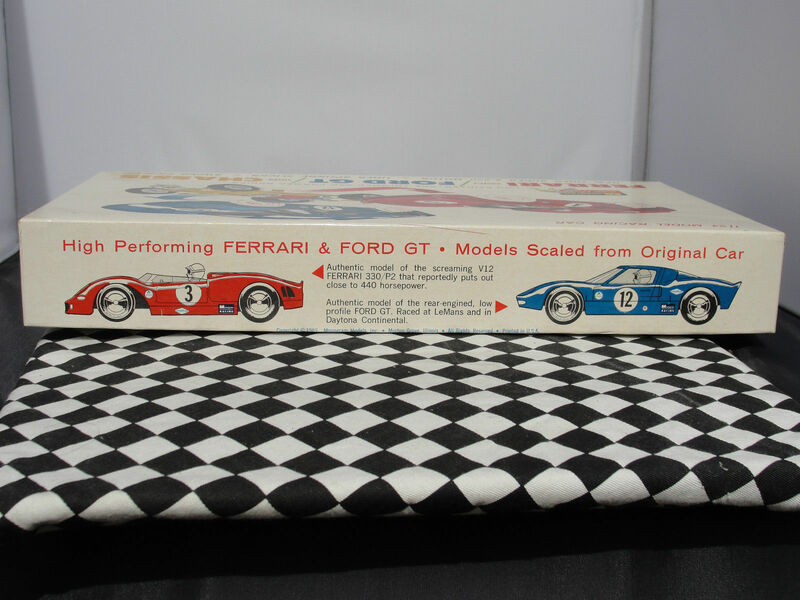 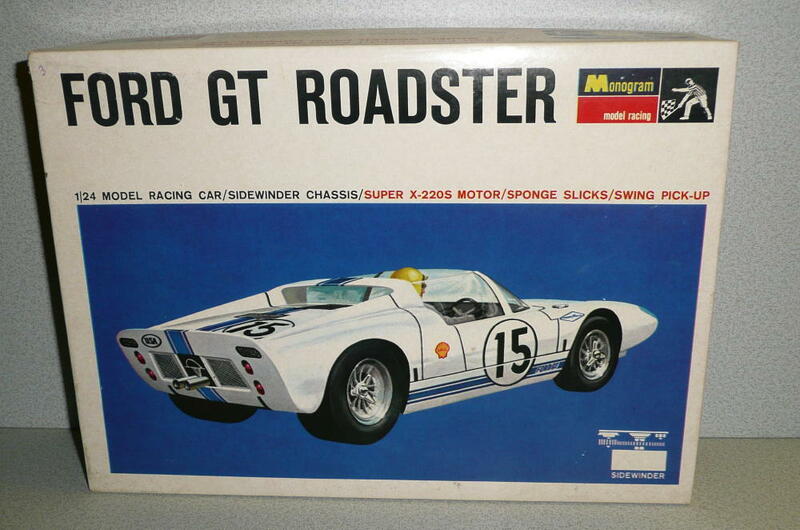 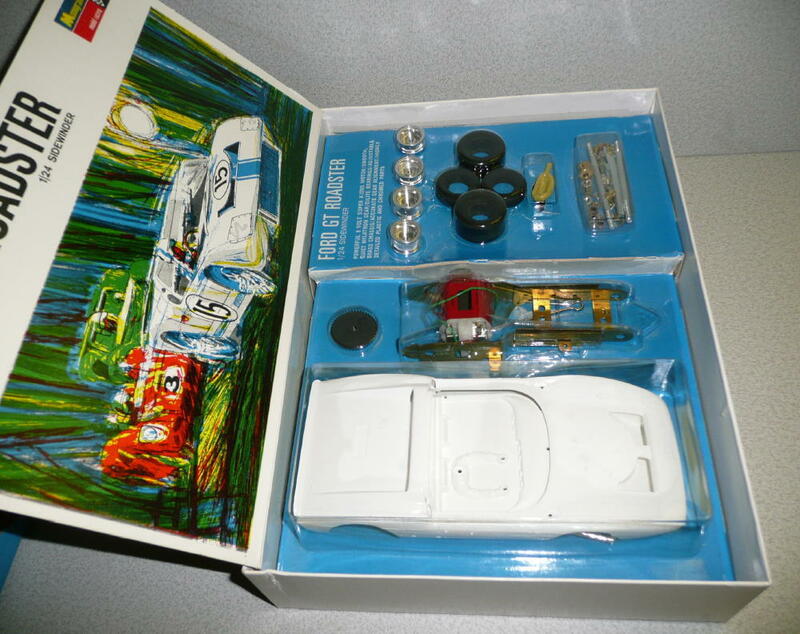 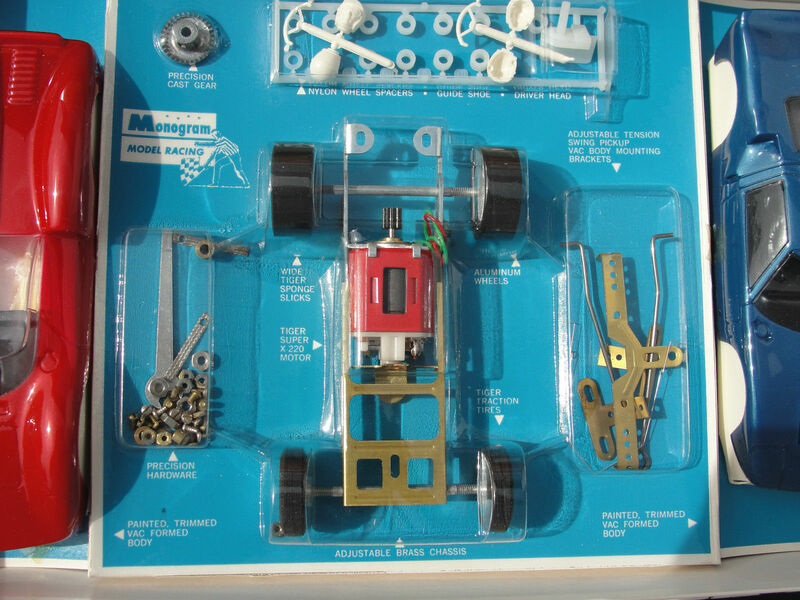 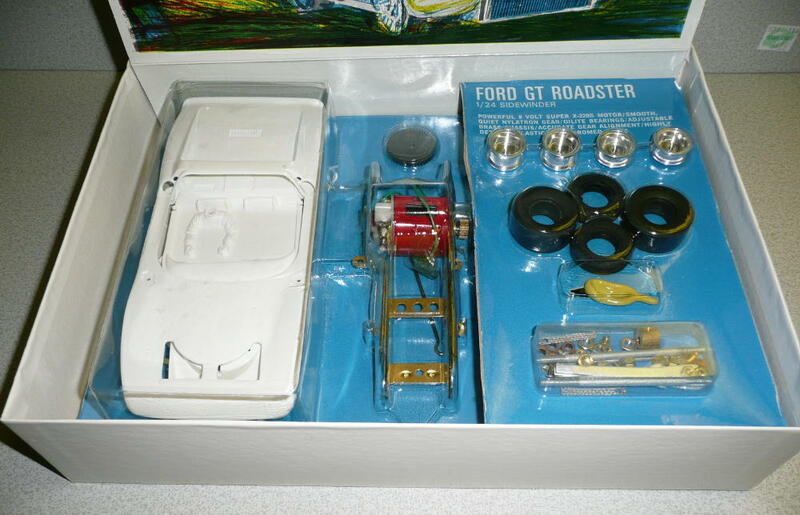 Unfortunately, in 68 Monogram ceased production of their slotcar range but did continue to produce static model kits. 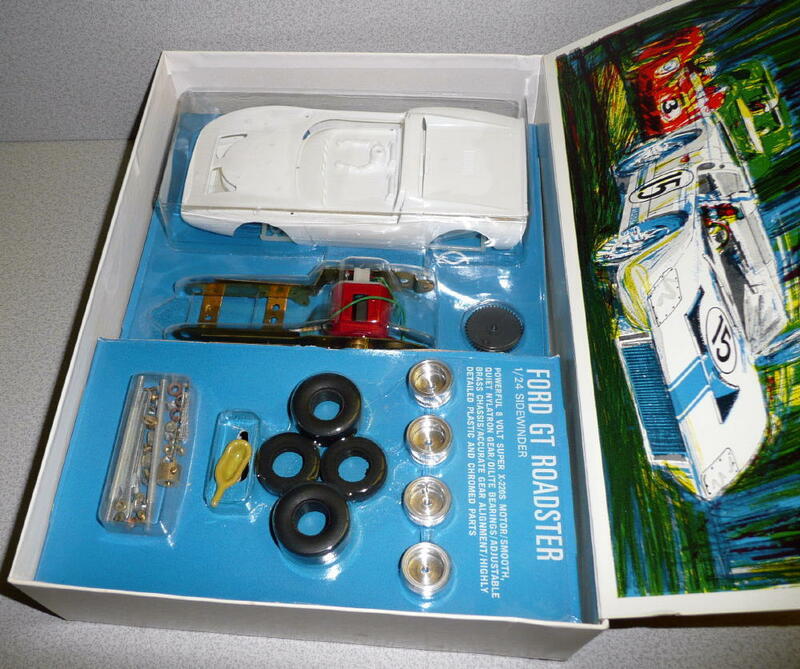 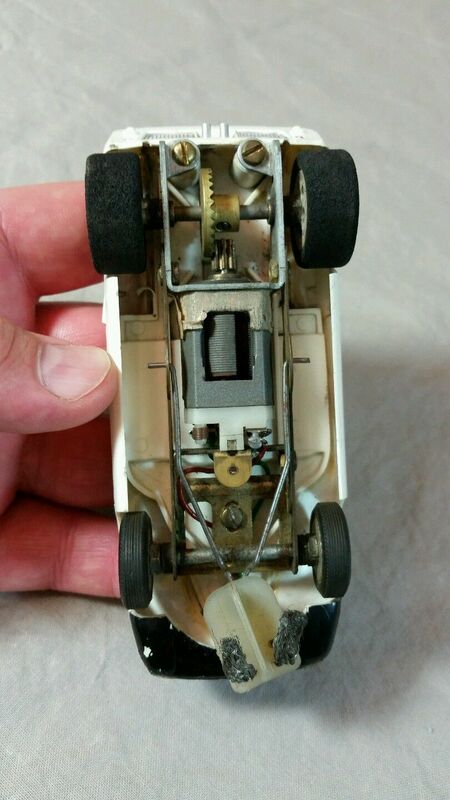 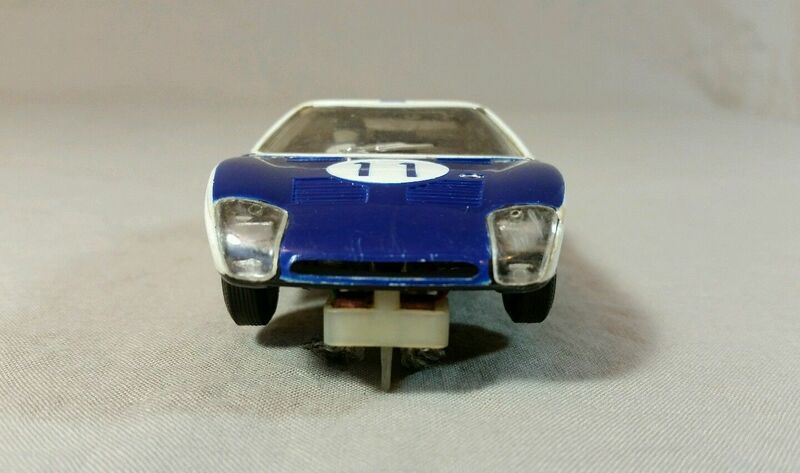 During the late 60s, Monogram and Revell were rivals for the scale model market but in 1986, after declining profitability in a new era of video games and cable television, Monogram now owned by Odyssey Partners of New York was merged with Revell and folded into Monogram Models of Morton Grove, Illinois.